The C2MAP™ system measures component changes in a culture supernatant as culturing progresses using LC/MS/MS. 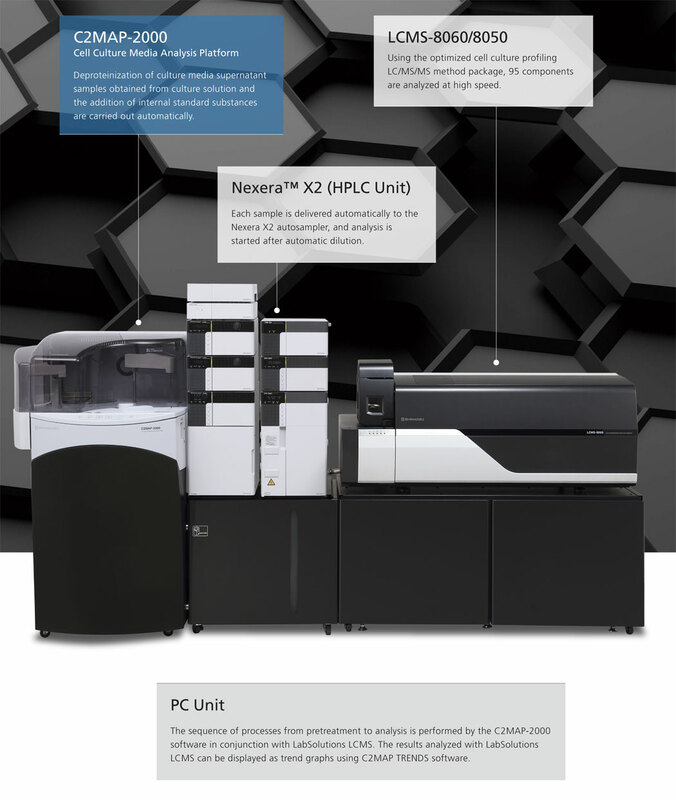 This system can be used for a wide range of applications, from basic research of cell cultures including pluripotent stem cells (iPS cells and ES cells), mesenchymal stem cells, and antibody-producing cells, to scaling up of culture volumes and actual process development. 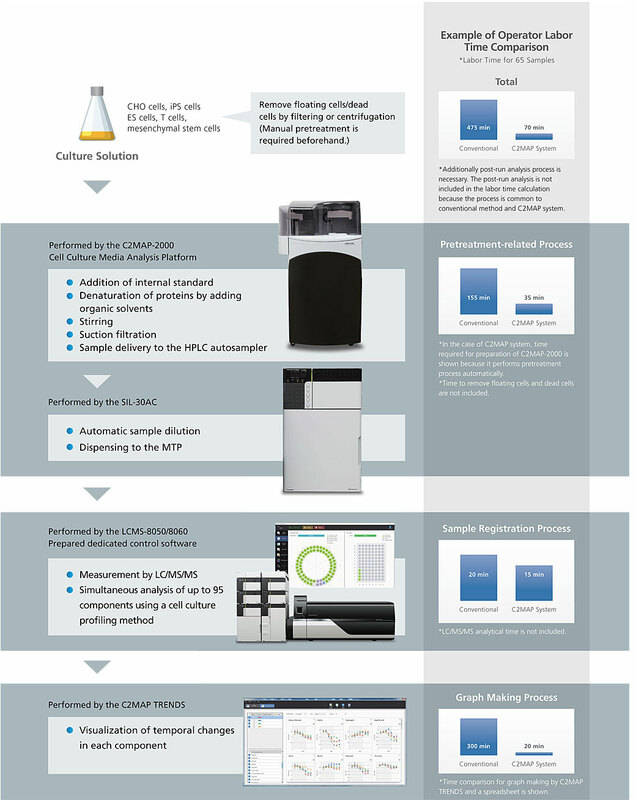 C2MAP system can provide simultaneous analysis methods for up to 95 components, making it suitable for component analysis to determine cell growth and status quality. The dedicated C2MAP TRENDS viewer software can graph component variations across multiple conditions for easier comparative analysis. The system can provide useful insights for the optimization of culture conditions in animal cell cultures by monitoring the consumption and depletion of media components during culturing, as well as the variation in metabolites secreted from cells. With an automated process from pretreatment to measurement, automatic analysis can be performed at night and on non-working days. The measurement workflow can be selected to match the actual culture. Seamless analysis and management from pretreatment to LC/MS/MS measurement can be performed. Pretreated samples are stocked on a microplate automatically to enable re-measurement with ease. 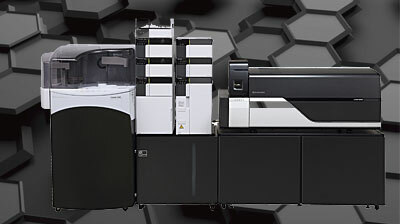 A total of 95 components, including major basal culture media components for animal cells and secreted metabolites, can be simultaneously analyzed at high speed. Temporal changes in the components can be displayed as trend graphs. The results under multiple experimental conditions can be overlaid in the display, enabling comparative analysis.